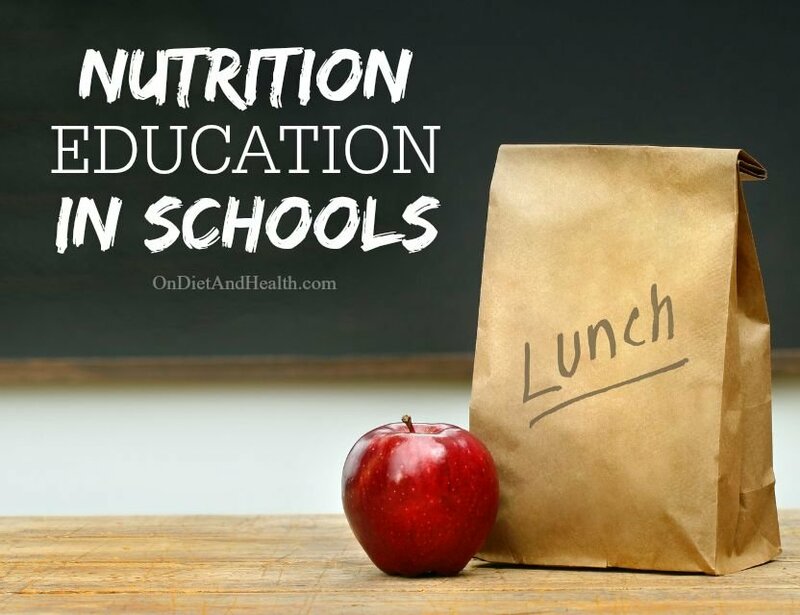 Efforts to help nutrition education in schools are underway across the United States. The San Francisco based “Nutrition Education Project” was set up to teach parents and kids about healthier food, reading labels, doing exercise and more. Started by the San Francisco School Board, it has a broad agenda covering health, school lunches, and parent advocacy. 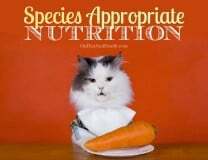 While I don’t agree with some of the nutrition info they share (such as low-fat foods), I give them an A+ for their ambitions for ending empty calories. One successful part of their campaign is the “Rethink Your Drink” project. With a simple science project display, children can show levels of sugar in common beverages. It’s a great visual tool anyone can grasp easily. Why target sodas? Research suggests that high-calorie drinks are the biggest source of sugar (and fructose) in the U.S. diet. The Nutrition Education Project offers free downloads of ways to make a display, as well as the nutrition facts and more. Check out the San Francisco group here. 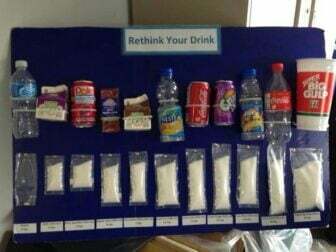 And if you’re looking for a school project, consider their Rethink Your Drink info offered here. Here’s a few FAQ’s from their website, offering some sensible answers to common questions. 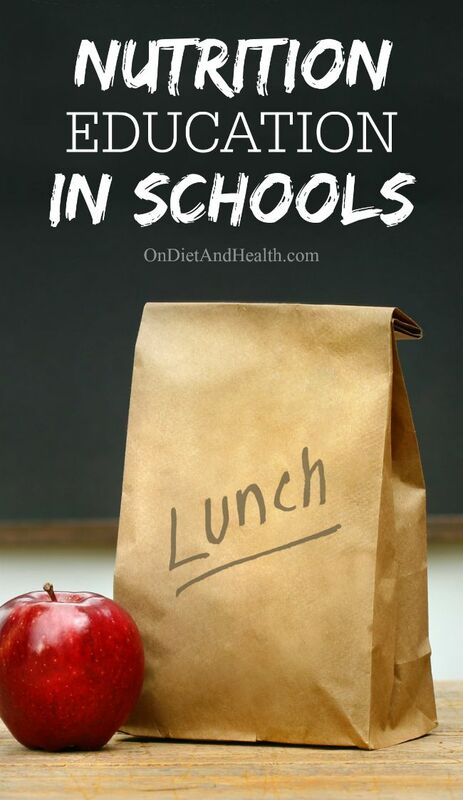 Wouldn’t you like to see more of this in your school? “Isn’t juice just like soda? 100% juice provides added dietary benefits, but because both juice and sugary drinks are high in sugar, and can easily be over consumed, our campaign encourages parents to limit their children’s juice consumption to the recommendation of small amounts up to 4 to 6 ounces, and to serve water instead of sugary drinks”. “It’s the couch, not the can. Consumption of excess calories requires additional physical activity for weight maintenance. For example, a 154 lb. individual would have to walk for nearly an hour to burn off the calories in a 20-ounce cola. “Are diet sodas a better alternative? Evidence is mixed. The best alternative is a glass of water. Clean, cool, and refreshing water is: sugar-free, calorie-free, and cost-free”. “My kid plays soccer so we give him sports drinks. What’s wrong with that? Even when children exercise vigorously for an hour, experts agree that water works best for rehydration. A 20-ounce serving of a typical sports drink has 9 teaspoons of added sugar. To reduce your child’s sugar intake, offer water before, during, and after exercise”. “This sounds like “nanny government.” Why are you trying to limit people’s choices? Our campaign is working to provide people with more choices and providing the information people need to make wiser, healthier choices”. “Californians deserve healthy and affordable drink options where they work, shop, live, learn and play. What’s wrong with an occasional treat of soda? Sugary drinks are not being consumed as an occasional treat. In California, 62% of adolescents drink one or more sugary drinks a day. A 20 ounce cola contains nearly 17 teaspoons of added sugar”.